Tasmanian Poetry Festival, (5-8 Oct) Launceston, Tas. Crush Festival, (5-14 Oct) Bundaberg, Qld. Unleash the Beast: Writing and Wellness Symposium, (10 Oct) Toowoomba, Qld. Frankfurt Book Fair, (10-14 Oct) Frankfurt, Germany. Burdekin Readers and Writers Festival, (12-14 Oct) Ayr, Qld. Kids Books Fest, (13 Oct) Melbourne, Vic. Coal Creek Literary Festival, (14 Oct) Korumburra, Vic. 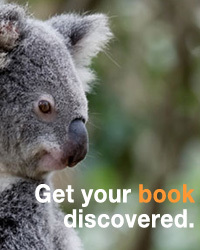 Australian Short Story Festival, (19-21 Oct) Perth, WA. Ubud Writers & Readers Festival, (24-28 Oct) Bali, Indonesia. Celebrate Reading National Conference, (26-27 Oct) Fremantle, WA. Digital Writers Festival, (30 Oct—3 Nov) Melbourne, Vic.